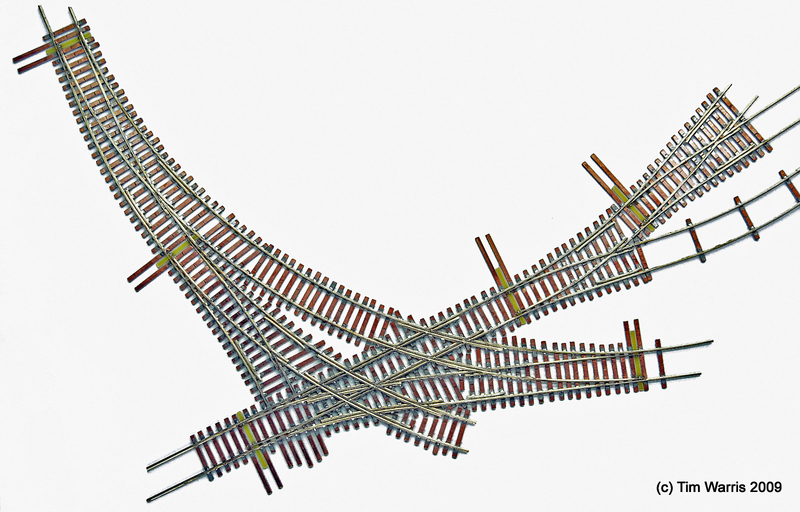 I have finished off the point hinging on this section of trackwork, all that is left is to cut some gaps and it’s ready to install! Very cool recent footage of some narrow gauge steam action in Huanan province in China. Want more? Click here, but don’t blame me for a lost day. I think I’m going to move to China…. 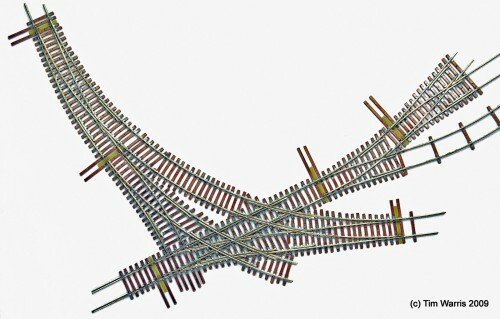 When building complex trackwork, such as the triple lapped turnout shown in this video, it is usually necessary to make hinged switch points as opposed to the easier to build solid switch points. Solid switch points rely on flexing the rail between the throwbar and a PC board tie far enough away to permit easy motion of the points. With limited space this isn’t always possible. I have developed a technique using rail joiners to act as hinges, and soldering spikes to the switch points that are inserted into the throwbar to provide a pivot. This HD video shows the process of installing this type of hinged switch point onto the float bridge lead of the CNJ Bronx Terminal. This is another in our After Hours Video Series, hosted on our Fast Tracks YouTube channel. Watching it in HD is well worth the extra download time….